Test your Spanish with the puzzles below or choose a page number to visit the recommended websites for this book. 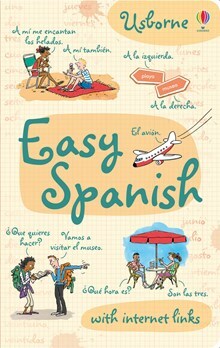 A fast-track guide to learning Spanish with clear, simple explanations for beginners. Grammar points are introduced and explained clearly and simply, with learning tips, a pronunciation guide and a Spanish/English word list. Includes internet links to websites with more information and tests for further practise.